Elettra Communications has been thrilled to be involved in the Forestry Friendly Communities initiative for nearly a year now. Through videos and features, we tell the stories of hard working forestry and logging folks – everyone from foresters to pulp mill workers; educators to students; truck drivers to scientists; as well as community leaders, business leaders, and local groups like outdoors clubs. The event includes a flag raising, fun activities, and a BBQ, and we're looking forward to making it an annual event. If you're on the North Island, come to Port McNeill on Wednesday to see what it's all about. 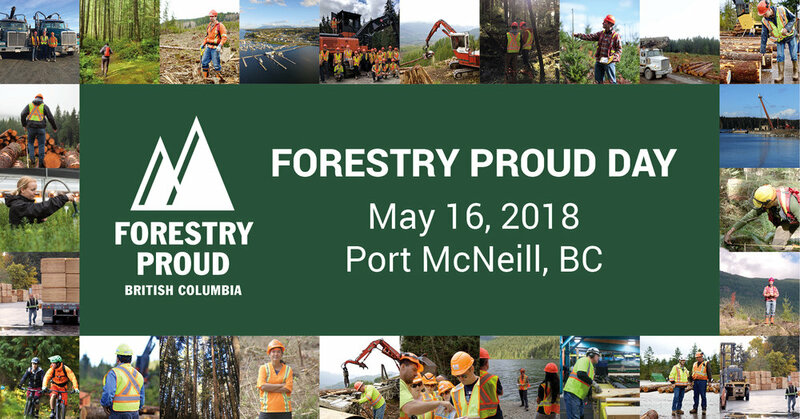 If not, take a look at this video and the head over to Facebook to tell us why you're forestry proud.